Take Apart Hinges or slip joint hinges, are used for easy and quick door removal and are ideal when doors need to be frequently removed. Take Apart Hinges are commonly used on removable doors and panels and gates, this type of hinge is comprised of a male leaf with an attached pin and a female leaf with no pin. They can be configured either left- or right-handed, with or without holes. 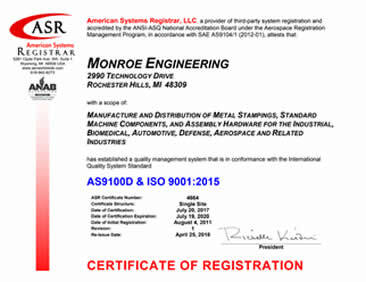 Monroe Hinge & Stamping Company is ready to work with you on developing the right take apart hinge for your application. All of our take apart hinge projects start with a question, a print or a sketch. 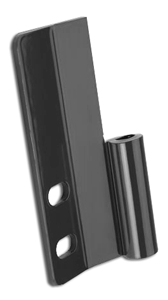 We are ready to provide you with the support your need to complete the design and manufacturing and delivery of hinges for your project. Are you looking for Take Apart Hinges?